Late on Friday, for the sixth time in the space of a year, the People’s Bank of China again cut interest rates, a measure that caused stocks to rally modestly on Monday. The cut represents a further attempt by the central bank to spur the cooling Chinese economy. The bank also cut reserve ratios for banks and removed ceilings on deposit rates, following which both the Shanghai Composite Index and the CSI300 index (which tracks the largest companies in Shenzhen and Shanghai) climbed by 0.5%, taking them to 3,429.58 points and 3,589.26 points respectively. Analysts and traders with an eye on forthcoming forex trading strategies anticipate that the PBOC will pursue further easing measures in the months ahead as the Chinese economy eased to its lowest third-quarter growth rate since the global financial crisis. 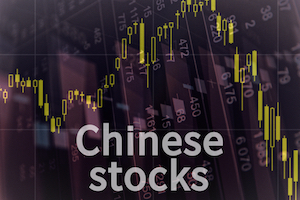 The most active stocks in Shanghai included Guangxi Wuzhou Zhongheng Group, which climbed by 2.6% to 6.81 yuan and Shangai Dazhong Public Utilities, which rose by 3.3% to 9.38 yuan. By contrast, Meiyan Jixiang plunged by 9.3% to hit 8.79 yuan. Goldman Sachs Group Inc. estimates that the PBOC’s latest easing measure will release a further 600bn to 700bn yuan into the financial system (£62bn-£72bn), thereby keeping borrowing costs low at a time when the world’s second-biggest economy is seeing record capital outflows. According to Bloomberg estimates, they soared to $194.6 billion in September, eclipsing the previous high of $141.7 billion in August.